A funny and poignant Gabriel's Bay story from the bestselling Catherine Robertson. Dr Ashwin Ghadavi, the newly imported GP, is trying hard to fit into Gabriel's Bay. His challenges include the immoveable force of his office manager, Mac, the ambiguities of the Kiwi idiom, and hi... read full description below. 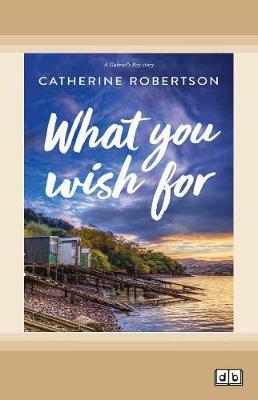 A funny and poignant Gabriel's Bay story from the bestselling Catherine Robertson. Dr Ashwin Ghadavi, the newly imported GP, is trying hard to fit into Gabriel's Bay. His challenges include the immoveable force of his office manager, Mac, the ambiguities of the Kiwi idiom, and his unrequited attraction to Mac's daughter, Emma. Having returned home, Emma is determined to help her old friend, Devon, whether he wants it or not. She's also on a mission to right eco wrongs, and her targets include local farmer Vic Halsworth, who's already neck deep in the proverbial and, to make matters worse, seems to be having visions of moose. Add in a former jailbird, a Norwegian recluse, and a woman struggling to foster a child, and you have the usual endearing and down-to-earth mix that can only occur in Gabriel's Bay.